Just lately my skin has been a right pain in the backside and as really been playing up bad, I've had quite a few breakouts around the chin area and I'm not too quite sure why. So I decided to switch up my morning and night skincare routine just incase it was my skin getting too used to products I was currently using. 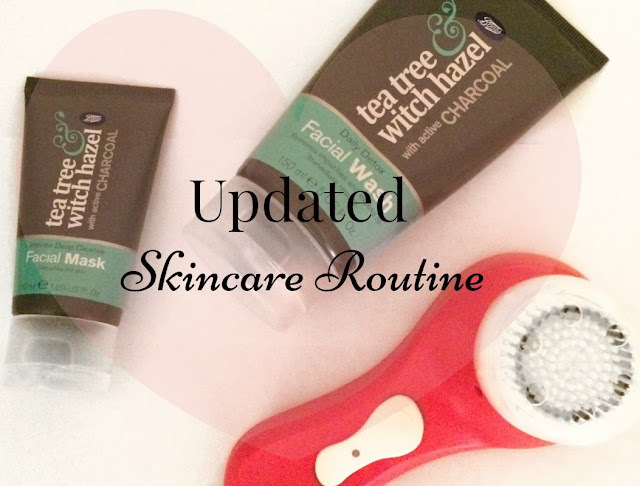 So I done a bit of research into products that had active charcoal in, as I had heard that this was supposed to be really good for the skin and help draw out any impurities. I came across the Tea Tree & Witch Hazel with active Charcoal face wash on the Boots website aswell as the facial mask to go with it so I thought I would give these products a try, as they weren't expensive and were actually on offer at 2 for £6.00 at the time I purchased them. 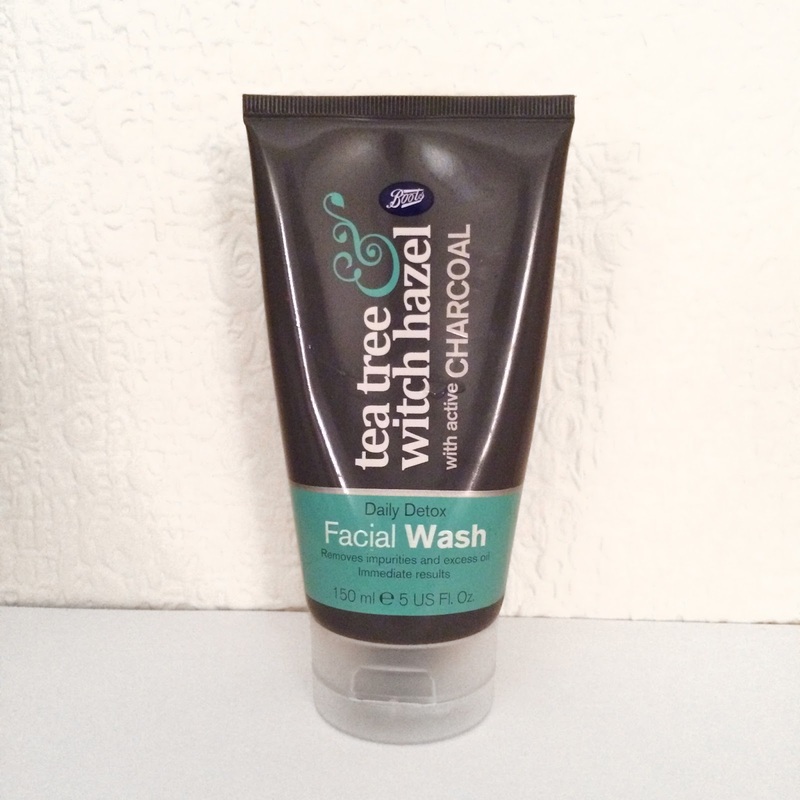 Facial Wash - I make sure I use this every morning and every night before bed, I wet my face with warm water then take a tiny amount of this and rub it in between my hands with a bit of water just to foam it up a bit, as it does come out pure black because of the charcoal in it. I then just massaged this into my face for about 1-2 minutes before rinsing again with warm water and then patting my face dry with a clean towel. I love how this makes your skin feel and have definitely noticed a difference in my skin since using it, any breakouts that I had have cleared up faster then they normal would have done, although they haven't totally disappeared as of yet I'm pretty sure this face wash has helped to dry them out so that they do heal up quicker. 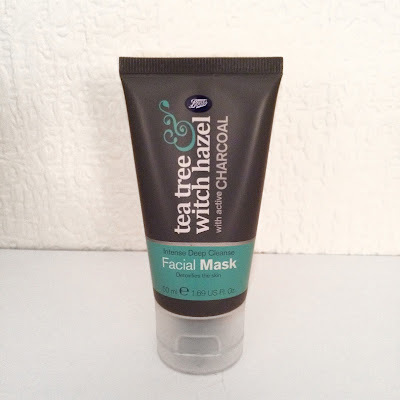 Facial Mask - I apply this straight onto dry skin after making sure my face is clean from the facial wash I would use before applying this, it took me about 5 minutes to apply the first time I used it as I found it to be very thick, but a little bit does go a long way. I tend to use this face mask only twice a week at the moment and I will try to leave it on for at least 20 minutes even though it does say 15 minutes on the packaging, if it's still not dry after 20 minutes then I just leave it a bit longer. I will then rinse this off thoroughly with warm water before patting my face dry with a towel. This leaves your skin feeling more softer then the facial wash does, its definitely one of my favourite face masks to use these days, its draws out any impurities on your face and also rebalances the facial oil to leave your skin feeling clean and purified with a silky touch.